Available in TropiKane® Basket Weave in Nutmeg or Kaffee and TropiKane® Bison Weave in Chestnut. The Cabana Club Woven Dining Chair, designed by Richard Holbrook, is a synthesis of casual elegance and sleek geometric lines. 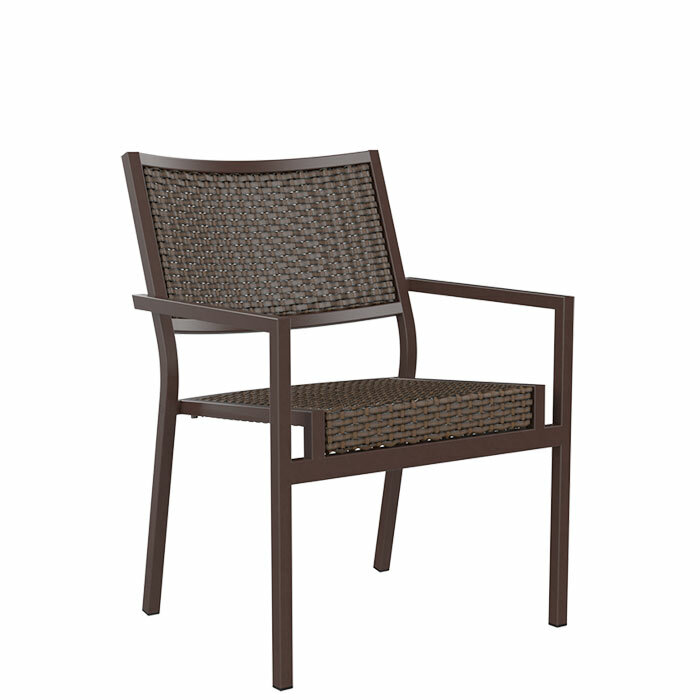 The Cabana Club Woven Dining Chair features your choice of TropiKane® Weave. Offered in a aluminum frame that can be powder-coated in a range of colors, the Cabana Club Woven Dining Chair is perfect for any outdoor culinary experience.